What’s awesome about the Internet is how it breaks up monopolistic markets where middlemen unfairly gobble up outsized fees, leaving us little choice but to keep paying them. It happened with software, it happened with music, and it’s happening now with media. But there are a few sectors of our economy that have stayed mostly undisrupted—one of them is banking. Sure there are companies like eTrade that opened up the market for buying and selling stocks. But it didn’t fundamentally change the market that much, it just moved part of it online. The thought for a long time was that banks needed to be too controlled, too regulated to be turned over to the Wild West of the Net. Then the credit meltdown hit and we saw just how reckless these so-called safe and regulated institutions were. The time is right for the Web to unleash its full market-destroying power on the finance world and while I was in the UK I found a company making a promising start: Wonga. Now, Wonga would hardly say its role is to upend the world’s financial institutions. But it’s one of the most dramatic examples I’ve seen of a Web company using what the Web does well to remake lending. Wonga gives people a way to borrow small amounts of money quickly, between £50 and £200 for first time borrowers to be repaid between five days and 30 days. (Returning customers with a good repayment record can borrow up to £750.) A would be borrower gives Wonga just eight pieces of personal data online, and its algorithms find 1800 data points based on that within 2 seconds, making a rapid decision about whether that person is a good or bad short term credit risk. If approved, the money is wired into the borrower’s account within the hour. And, the borrower gets to decide when to repay the money, with no penalty for early repayment. One of the most notable things about the UI is a sliding scale, which shows exactly what fees someone would owe Wonga for every dollar borrowed and extra day before its repaid. No fine print and formulas to calculate; the cost of every dollar you borrow is calculated for you. Wonga was founded by Errol Damelin, a serial entrepreneur who previously started a supply chain software company named Supply Chain Connect. He sold that company in 2005 and decided he didn’t want to build another enterprise software business. (Smart move.) So he traveled around the world looking for ideas. In the U.S. he became captivated with payday lending companies—an industry of strip mall storefronts that generates a whopping $12 billion in fees. There was a clear demand for short-term loans to tide people over or take care of emergencies. But it was a polarizing industry, seen as predatory and exploitative. Damelin spent more than a year digging into it, and brainstorming with well-known UK angel investor Robin Klein on how to rethink it and make it better. Two things excite me most about Wonga. The first is that it isn’t peer-to-peer lending. Peer-to-peer lending in a social sense, like Kiva, is one thing, but I’m not convinced peer-to-peer lending for profit works or scales. It feels a bit like trying to apply Web 2.0 ethos of wisdom of the crowds and social networking somewhere that it just doesn’t fit. Instead, Wonga has raised $28 million from Balderton Capital, Greylock Ventures, Accel Partners and Dawn Capital and is loaning out its own cash. In its first year of business it did more than 100,000 loans, for an average of £250 each, and it’s already profitable. “This is the best business I’ve ever been in,” Damelin says. Second, it’s the first time I’m aware of that a bank that has actually aligned its incentives with what’s right for the customer. Put another way: Wonga makes its money when you repay the loan, not by keeping you in debt longer. Think about it: Credit card companies make the most of their money from people just able to make their minimum payments every month. And payday advance chains make most of their money by rolling over your debt to the next payday. 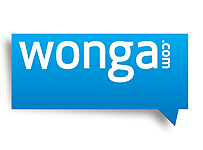 Critics have said that Wonga is usurious by charging a 1% interest fee per day. But that’s a knee-jerk response. Wonga is simply charging a premium because it allows borrowers quicker access to cash than any other service, the same way a town car is going to charge you more than a cab off the street. And because it only makes money when a borrower repays the amount, there are no tricks to keep you in debt longer. Wonga’s ideal customer is someone who uses the service two to three times a year and always repays on time, Damelin says. If more financial institutions had this basic orientation to doing business, we wouldn’t have had the credit meltdown because people would have known exactly the risks of agreeing to ARMs and zero-down mortgages. Now here’s the downside on Wonga: It’s only available in the UK, and it will likely stay that way thanks to a bevy of licenses and regulations entailed in getting near the finance sector. It’s even worse in the US, where each state has its own laws. Even a copy cat business might be cost-prohibitive in the U.S. because of all the state-by-state regulations and red-tape. As our taxpayer dollars continue to bail out the same lousy institutions, it’ll take innovators like Wonga to force real change in the finance world. But in this country, it’ll need an assist from the government as well.